There are two ways to enter this programmer. One is thru PALASM from the menu selection GO, the other is from the command prompt. 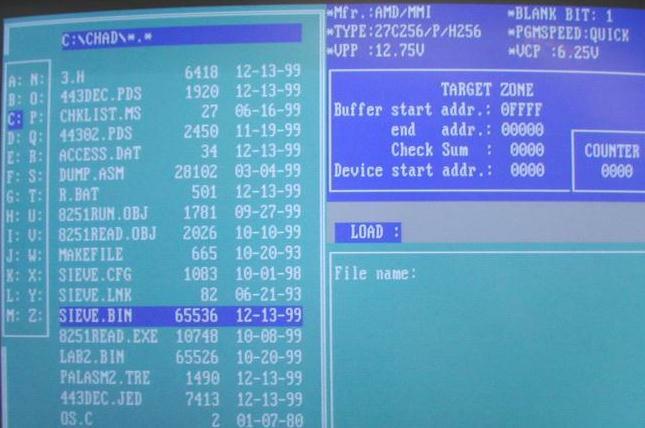 If the EPROM batch file is still in the "C:\" directory, all you have to do is type "EPROM" and enter. If it is not, from the "C:\" directory, type "cd EMUP" and "ENTER". Then type "ACCESS" and "ENTER". 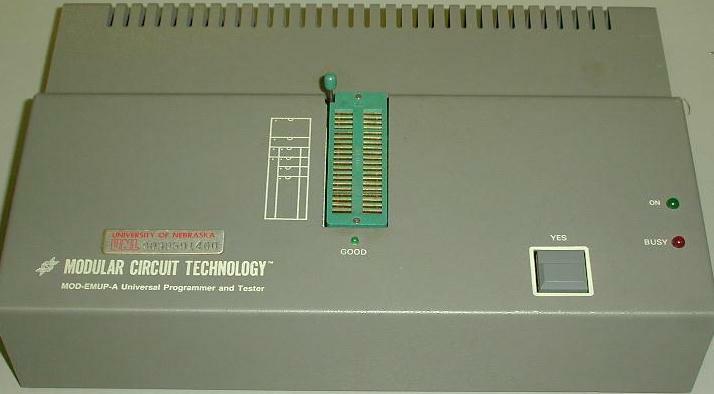 Now select manufacture and the EPROM you are going to using. 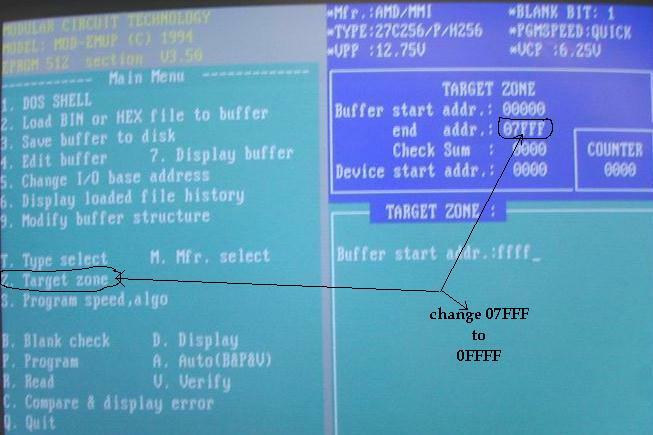 If you are using one file to program two EPROM's from one file, The first thing you need to change is the target zone. Enter the following to change target zone. 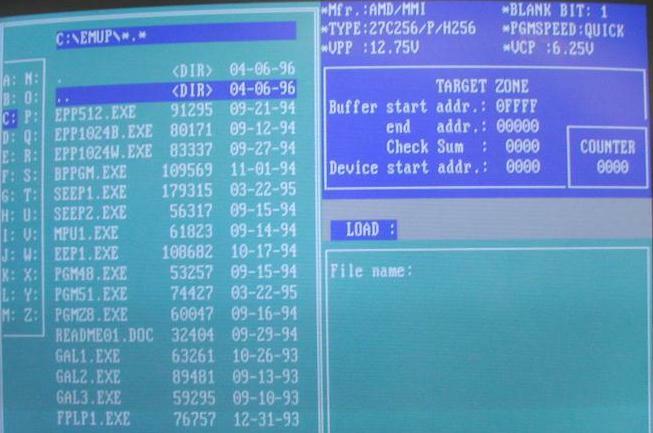 Next load the binary file you want to burn into the EPROMs. It can be a pain moving around in the directories, you will just have to play with it and figure it out. 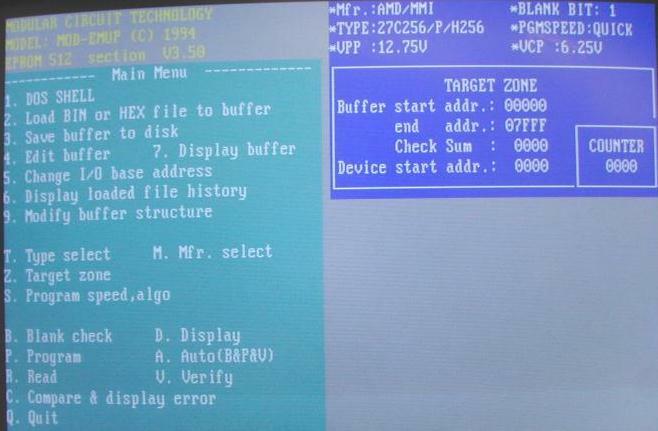 When you select a file, it will ask you if you want to load it as a <B>in, <I>ntel, <M>otorola S Hex. 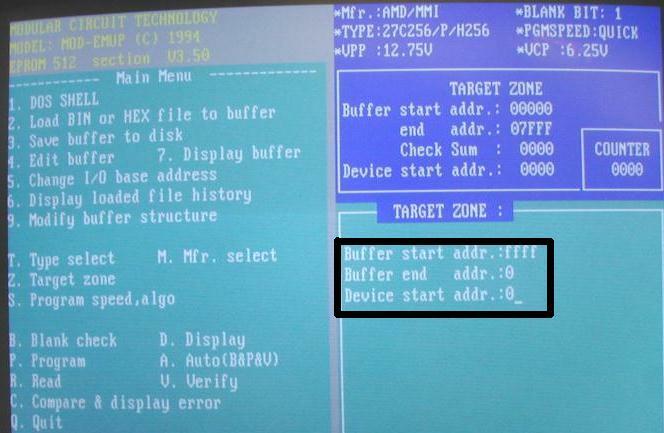 You want Binary, so Enter a "B" and hit "ENTER". 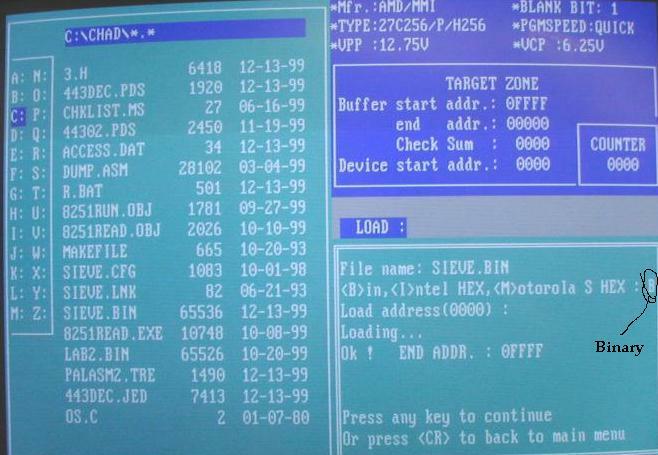 Before programming, you will want to blank check the EPROMs. 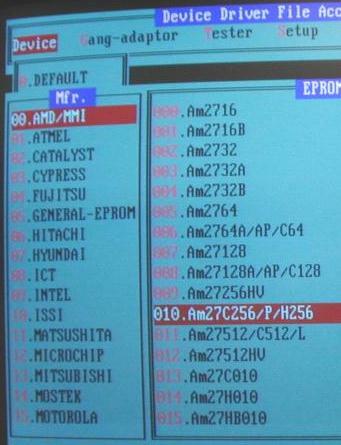 When you program you EPROMs, you will be given three options. (Y/Even/Odd). 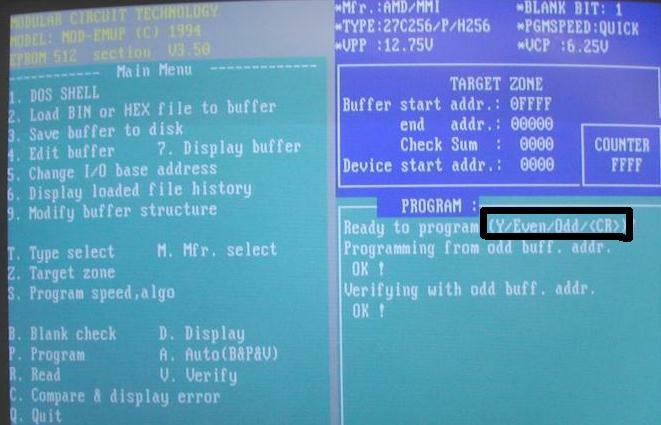 If programming Odd and Even EPROMs select the appropriate one ('E' or 'O').